It’s a gift card for your friends and family to purchase fresh meals, award-winning coffee, fuel or anything in our store. It’s a cash card to present at the register, so your purchases will be deducted from the card balance. 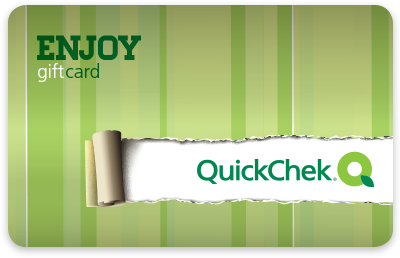 Your printed receipt will show your updated balance – and you can reload the card anytime, at any QuickChek store. And unlike other retailer cards, QuickChek does not charge dormancy fees. Available in denominations from $l0 to $500.